Some of my best memories of being a little kid, say around four years old, was when my Uncle Eli would drop by at our house in the Bronx to visit. Eli was my Dad’s younger brother. Where my Dad had the gravitas of being the father figure (and was a New York Policeman to boot) my Uncle Eli had all the spark and flame of youth. When he showed up me and my sister would jump up and down and scream “Uncle Eli! Uncle Eli!” He told jokes, he brought gifts, his pockets would be full of candy. And best of all, he walked on his hands. He would empty his pockets (I can hear the jingle of coins and keys as I type this) and do a backflip and walk around upside down on his hands as me and my sister laughed and clapped our hands in delight. When you are four, it simply does not get any better than an Uncle who will walk on his hands for you. 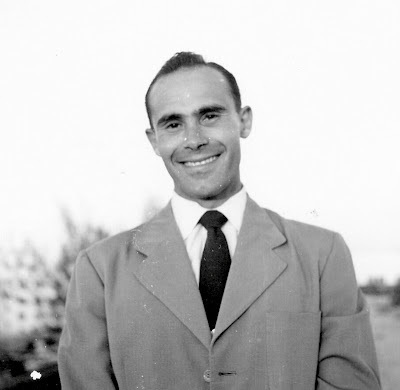 My Uncle Eli Cohen, sadly, passed away suddenly two days ago, at the age of 81. Like a lot of the men in my family, he never accepted the idea of retirement as an option, and he was working and active until the day he passed, so his sudden death came as a shock to those who knew him. 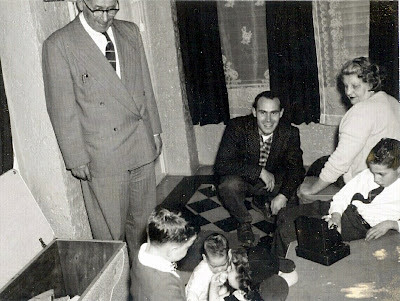 He leaves my Aunt Norma and three daughters – Gerry, Hillary, and Madeline – behind, along with many grandchildren, as well as my father, who loved his little brother dearly. Eli Cohen leaves a legacy of influence, inspiration, and education behind as well. Uncle Eli was the striver in our family, the brother that valued education and learning and knew that positive reinforcement was the best way to inspire that quality in us kids. He was the Smart Uncle. As a little kid I remember him perking up as I would try to impress him with some bit of science I had heard on the Mr. Wizard TV show or some new dinosaur factoid I had picked up. He would engage me for hours, making me feel like adults actually cared what I was interested in. He knew how to make you feel that your interest was valuable to him. Eli trained to become a Geologist, and when I was a child he would describe New Jersey’s glacial boulders in a way that sounded like nothing in the world could be more fascinating than poking around ice age bogs in Morris county looking for granite outcroppings. Uncle Eli gave me his love of science, of explanation, of curiosity, and showed me how life is a lot more than it seems on the surface. Every family has its Einstein. Ours was Eli. Eli was also the anchor stone of our extended family’s Jewish life. It was something he took seriously, and that is one of the strongest things he left as our heritage. The Sabbath and Jewish holidays were taken seriously at his house, and he was very much the family historian of his generation, with a photographic memory of names and events that stretched back into the 19th century family history in Moldavia. Luckily, he passed on much of the family lore to me and his son in law Peter, but he knew so much more that is now lost. Eli was on the younger side of that generation who were formed by the Great Depression and World War Two, which has come to be known in the USA as the “Great Generation” – having lived through poverty, war, and then rebuilding in the post war era. 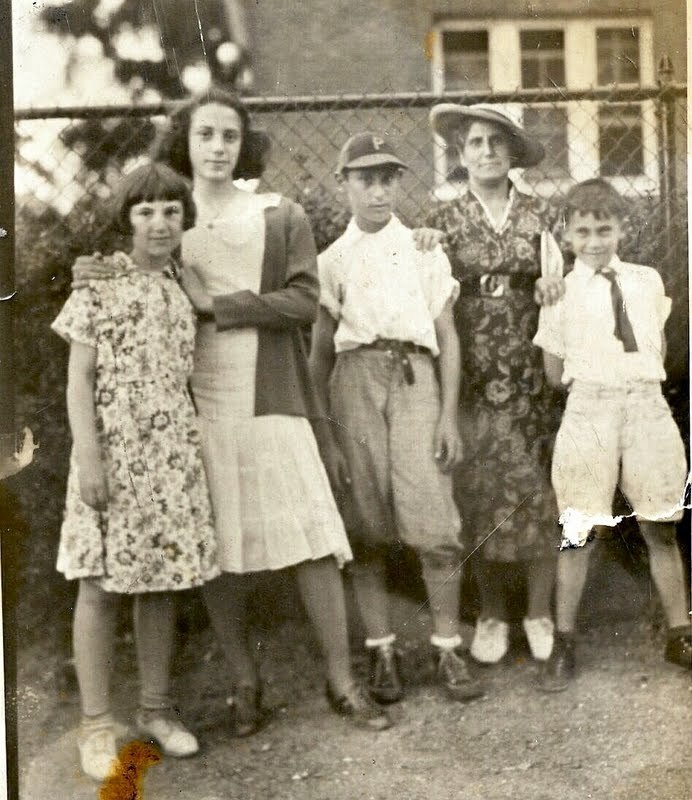 Eli served his country as a Military policeman in England after the War, where he met my Aunt Norma. 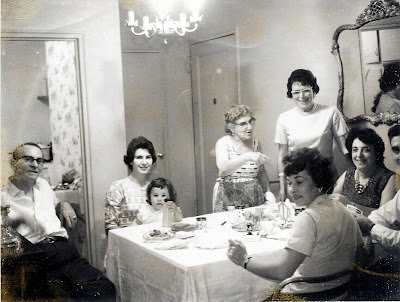 Grandpa Morris Cohen, Aunt Norma Cohen, Gerry Onitskansky, Grandma Betty Cohen, and my Mom at shabbes dinner. And like many of his generation, he took advantage of the educational opportunities offered under the GI bill at a time which is generally considered to have been the golden age of American education. And he was smart as a whip. He was always getting patents on inventions he would come up with – better mouse traps, a specialized paint brush for painting in corners, improved surveying equipment, you name it, Eli patented it. Eventually he patented and actually produced and marketed an air soled running and walking shoe. Eventually, Eli realized that his knowledge of geology could be adapted to the market for real estate in New Jersey, and when he moved to the Garden State, my father soon followed with us in tow. The two sharpest cards in the deck: Jack and Eli Cohen. 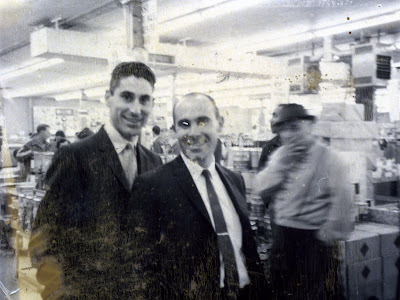 And when my Dad needed help, my Uncle was there with a job for him – for decades they worked together in the gritty arena of New Jersey industrial real estate.And although Uncle Eli inspired my love of science, it was an unrequited love. I went in the other direction, towards anthropology. Eventually I focused on African and American Indian linguistics, and I learned some West African concepts that are not the usual line of thought for New York Jews, but they apply here. The Yoruba are constantly aware – in act as well as in speech – of their ancestors. When you reach that stage in life where you leave this plane, you family holds a funeral where your life is celebrated. A band is hired, food is catered, the neighborhood shows up for a party to see you to the other side. (This is where the grand tradition of New Orleans Jazz funerals comes from. Your friends don’t only remember your life – they never forget your passing.) Your role is now to be that of an ancestor, an inspiration for the living and a source of continuity between the past, present, and future. And one stays in touch with one’s ancestors through a kind of inner dialogue of memory and fondness (and if you are a Yoruba, a shot of spirits spilled on the ground helps. Spirits for the spirit.) The ancestors are not gone. They are always present. You just have to live your life keeping their spirit alive. Their love and ongoing guidance is their existence. Consider your ancestors, and feel their love. It comes back to you. And we will always love you, Uncle Eli. Legn zol in Gan Eyden. Around 1938, New York: Aunt Fran, Aunt Gerri, my Dad Jack, Grandma Betty, Uncle Eli Cohen.